“Swarm Intelligence: From Natural to Artificial Systems”, Oxford University Press, 1999. Swarm intelligence offers another way of designing “intelligent” systems, where autonomy, emergence, and distributed functioning replace control, preprogramming, and centralization. 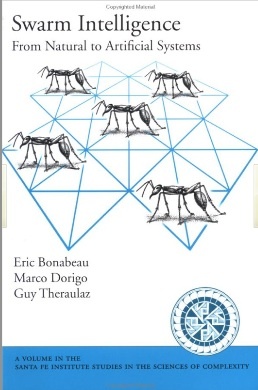 This book surveys several examples of swarm intelligence in social insects and describes how to design distributed algorithms, multi-agent systems, and groups of robots according to the social insect metaphor.